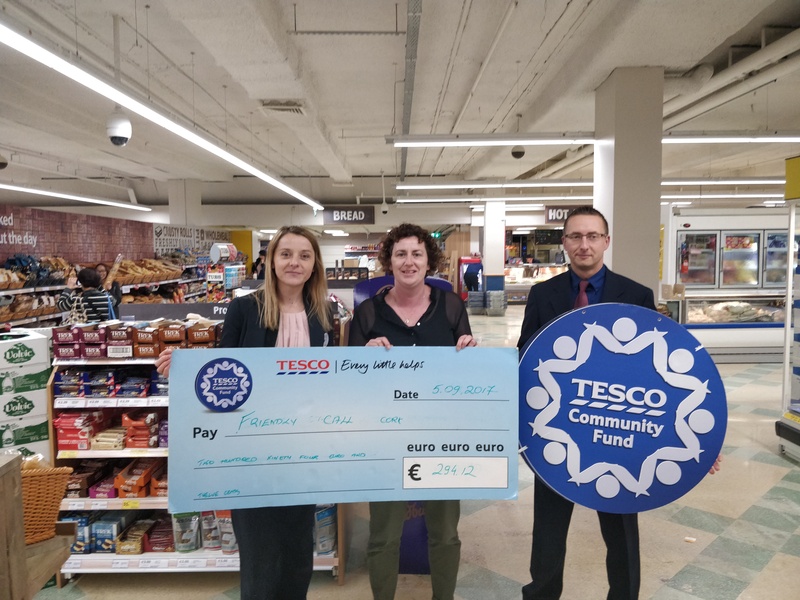 Tesco Community Funding for Friendly Call Cork » Comhar Chathair Chorcai Teo, Cork City Partnership Ltd.
Brenda Barry from Friendly Call Cork being presented with a cheque for €294.12 from Tesco Paul Street as part of the Tesco Community Fund on Tuesday, 5th September 2017. 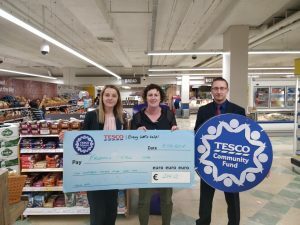 Thank you to all Tesco customers and employees for your support. This generous funding will go towards our bi-monthly Friendly Call Afternoon Tea events.